"Rachel at the Well" Statue gets a remodel after residents of Edison Neighborhood pay for repairs. 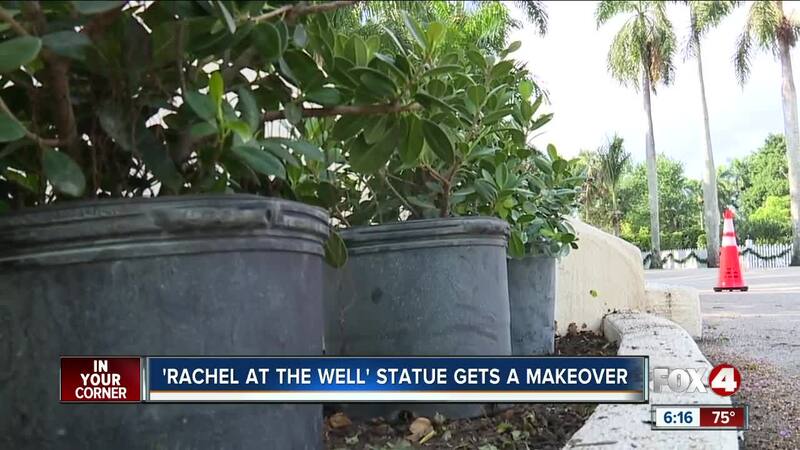 FORT MYERS, Fla. -- After six months in the making, Rachel At The Well is finally getting a remodel. The 92-year-old statue sits on McGregor Boulevard in Fort Myers, just outside the Edison Park neighborhood. People living there say they took on this beautification project because they care about this historic landmark and what it means to the city. The new landscape design will implement a classic European garden, which they say is an improvement. "It's part of history, it's part of the city, it's part of what we are. We should continuously keep it in a state of repair that just reflects how much it means to the city," says councilman Kevin Anderson. But residents have to pay for it all. While they've paid for the initial repairs, they also need help to keep her maintenance up so everyone can enjoy it. "We're excited that we had the money to go ahead with the initial, but now, we're looking for people in the community to help us fund the ongoing maintenance of it," says Craig McLean, neighborhood association volunteer. "They're looking for help to pay for the maintenance because it's their responsibility. So, I would say anybody that's looking to help, to go find their GoFundMe page and help with the maintenance of this beautiful project, because it's not just for this neighborhood, as you can see, it's all along McGregor, so it's for the community as well," says landscaping architect Mariah Bakke.